FABULOUS BEACHFRONT HOUSE! Directly on the SAND! Spacious 6 bedrooms 4 bathrooms! LOCATED in charming Redington Shores on a very quiet, non commercialized street - NOT on busy Gulf Blvd. Decorated by local artist in a casual Florida style property is being sold completely furnished and turn key - just bring your swim suit & tooth brush! Second floor is entirely private Master suite with stunning view from porch. Master suite features dual sinks, walk in closet, soaking tub, walk in shower. First floor has bedroom with ensuite bathroom as second Master bedroom. MANY OPTIONS with this variable layout. Live in one section and rent out the others. Great vacation rental - so much room for families! IN law suite! Two kitchens - one main kitchen and smaller kitchen located in the in law suite/east side of house. Easy clean tile floors 1st floor and hardwood flooring in master suite on 2nd floor with tile in bathroom. Sold as-is, Room sizes are approximate - Buyer to verify. 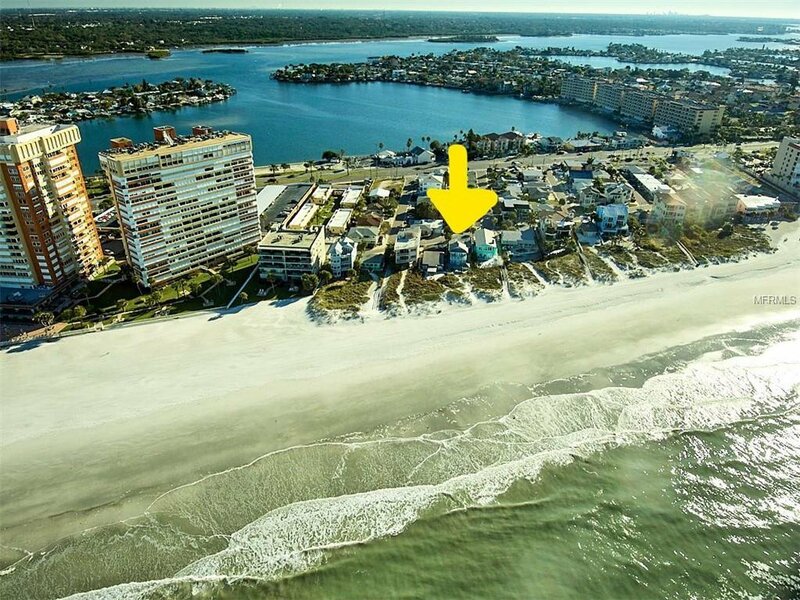 One of the lowest priced per square foot beachfront homes on the gulf! ADJACENT PARCEL available at 17836 Lee Ave. Enjoy the soothing Gulf breezes on the open patio and sunsets with rare covered picnic area - great for cookouts and parties! Listing courtesy of LIZARD REALTY. Selling Office: CENTURY 21 RE CHAMPIONS.